Does your fireplace need a facelift or do you want to customise a new fireplace? Wall stone panels in mini yellow are the latest innovation to add character and customisation to your existing fireplace design. They are ideal to use with any type of fireplace operation, including solid fuel, gas or electric heat sources. Only the finest quality natural stone is used in the creation of these wall stone panels in mini yellow. Each expertly crafted panel measures 400mm x 150mm, featuring an array of golden tones and hues, and they are perfect for using in the construction of fireplace chambers to add texture as well as depth. Many fireplace owners also enjoy utilising wall stone panels in mini yellow as a decorative effect around the fireplace area. 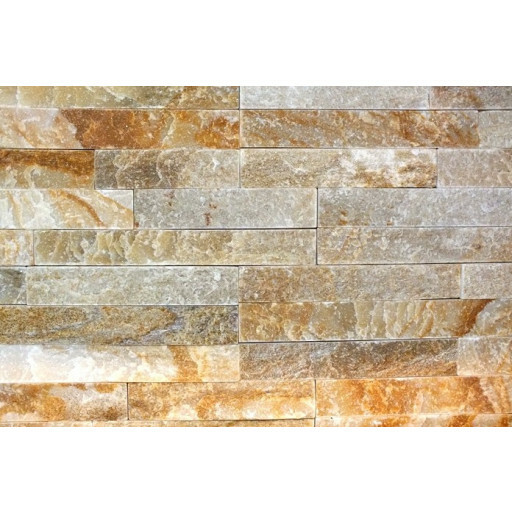 Because these wall stone panels are constructed exclusively from the finest quality natural stone, they bring a rustic charm and ambiance, whether they are featured as a decorative wall covering or as part of the fireplace's heating chamber. wall stone panels in mini yellow are quickly becoming a special fireplace design feature that adds beauty and value to existing fireplace designs and the rooms where fireplaces are installed.